Catch That Cookie! | What is ML Reading? It’s a clever, treasure hunt of a story. Perfect for this cookie baking time of year. ML is rarely able to attend programs at the library where I work. However, one afternoon I was able to take a late lunch. I picked her and two friends up from school to enjoy building and decorating cookie houses. Unfortunately, I waited until the last minute to pick out a book to read to the crowd. My first choice, Catch That Cookie!, was checked out. Trust me and take my advice. I’ve been there. Don’t buy a gingerbread house kit. Instead, grab a milk carton, graham crackers, frosting, pretzels, candy, cereal and sprinkles. 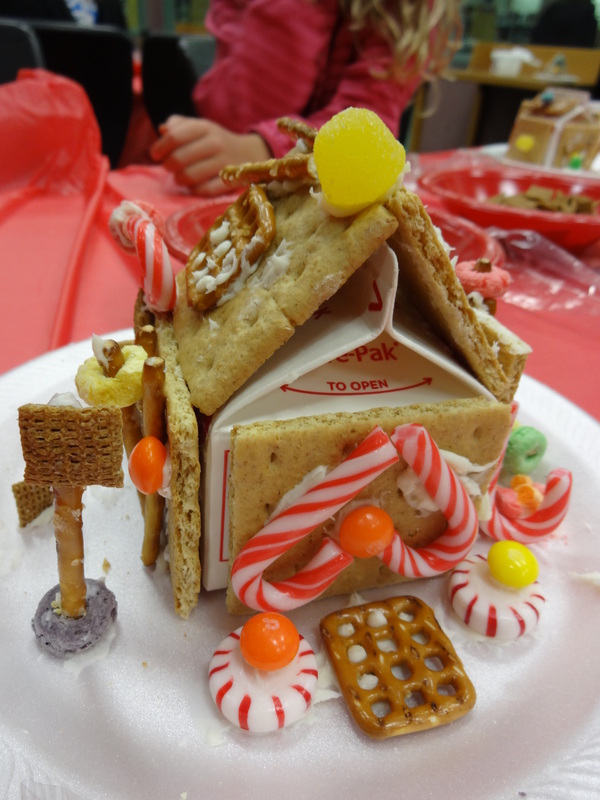 It’s an easier and more enjoyable experience for parents and kids alike to decorate a milk carton “gingerbread house.” ML’s creation is pictured below. 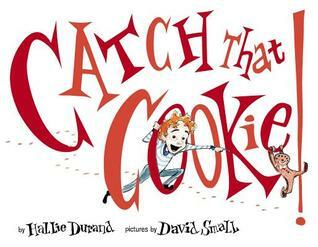 This entry was posted in Picture Book and tagged Catch That Cookie!, David Small, Hallie Durand by mlreads. Bookmark the permalink. So glad you had fun reading about the G-MEN!!! !